Knowledge commerce is the name for when people monetize their knowledge to sell to others, usually online. We have always had some form of knowledge commerce throughout human history – private tutors taught the wealthy before there were schools for all, and people have sold their knowledge through books and magazines for centuries. In modern times we have Instagram influencers making money doing makeup tutorials and YouTube stars making money filming themselves playing video games. But those are difficult things to do these days – you have to get to a pretty high level of viewership before you can begin to make money as an infopreneur. Does this mean the situation is hopeless for those wishing to build a knowledge commerce business? Not at all. There is emerging tech that can help. Creating online course material for your favorite pastime or area of expertise is pretty simple these days. You can often do things like making videos or taking stop-motion videos of whatever you are teaching with your cell phone. The technology to disseminate information is out there, you already know how to use it, and it’s pretty simple to learn. But that doesn’t mean that monetizing it is that simple. With YouTube you have to reach a certain level of followers before your account can start earning money at all, and with Instagram anyone who is going to pay you for sponsorships is going to be looking for a certain level of engagement before they partner with you. Fortunately there is emerging tech that can help solve this problem. You can use this tech to create course materials, tests, and more that you can sell to students who want to learn more about your area of expertise. Turning your expertise into a small business is the type of knowledge commerce that is becoming more common in the technology age. There are a lot of freelancers in the United States - more than 57 million and growing. Freelancing can be great as a side hustle that can eventually become your main career, and infopreneurship is a great career to build because you will be in the business of selling yourself. Think about the things you are an expert in and ask yourself whether someone would want to learn what you know. If the answer is yes, you may have a career in knowledge commerce! 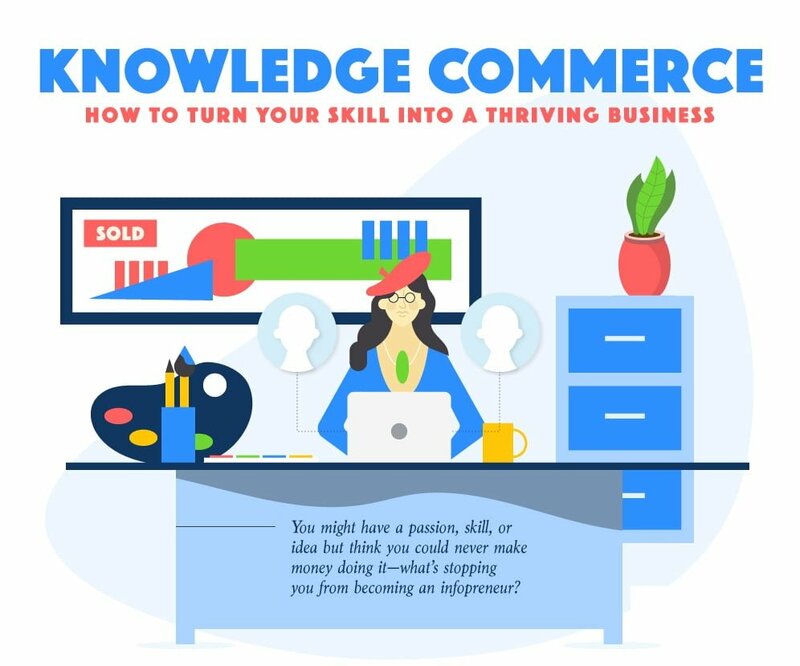 Learn more about knowledge commerce and becoming an infopreneur from this infographic.